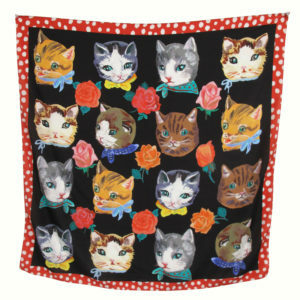 Beautiful large silk square decorated with Nathalie Lete’s happy cats. 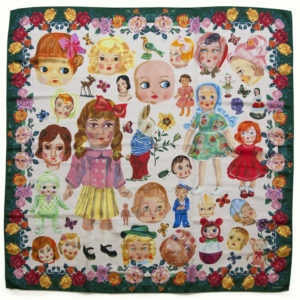 The latest beautiful scarf design from French artist Nathalie Lete. 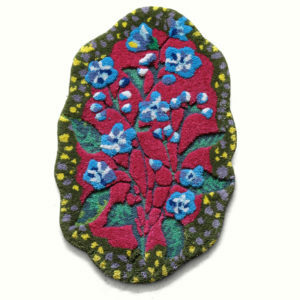 Another generously-sized silk square to be worn around the neck or tied around the body in other inventive ways. Works of art in their own right, we also like to drape these scarves around the home. I plan to stitch a few squares together for a silky door panel! Each scarf measures approx. 1m square and is made from 100% silk. Wash by hand or dry clean.